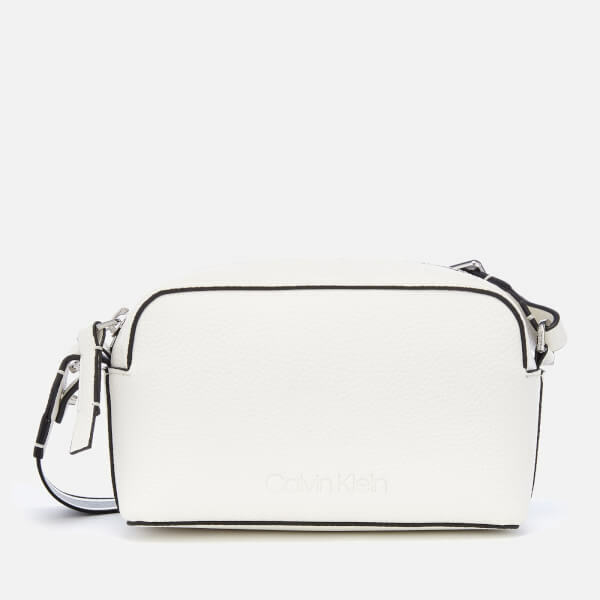 The ‘Race’ cross body bag from Calvin Klein is crafted in durable, textured faux leather. 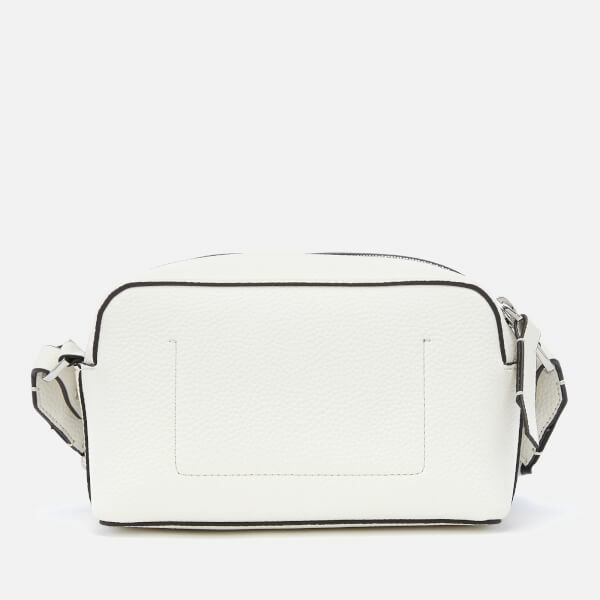 Fastening with a top zip closure, the white mini bag opens to reveal a compact interior with a slip pocket, while to the exterior an adjustable, detachable webbing strap ensures comfortable wear. 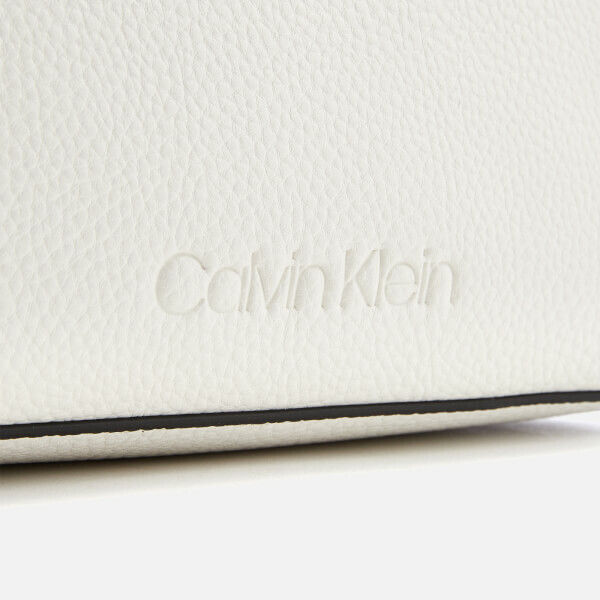 Embossed branding completes the design. 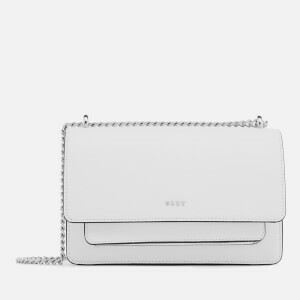 Dimensions: H: 11cm x W: 19.5cm X D: 8cm. 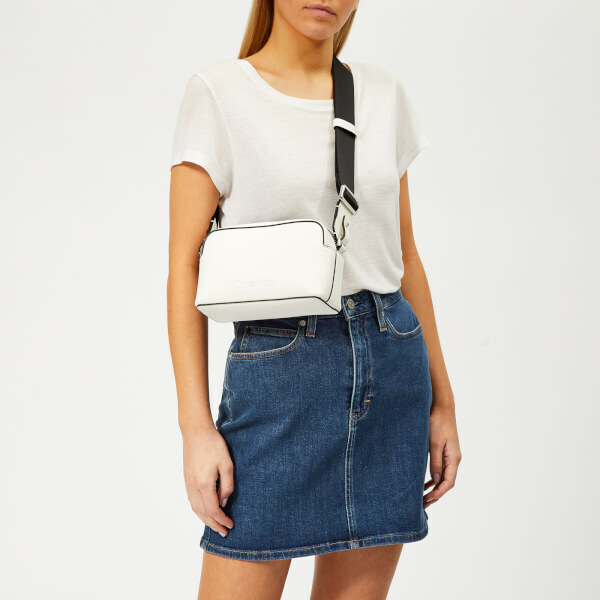 Strap Drop: 35cm.